All the news, happenings, videos and fun at your fingertips. OPRAH!!! 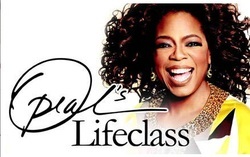 I was featured on a Target Aha Moment on Oprah's Lifeclass - so amazing!!! Video to come!!! Recorded radio spot for Verizon. Recorded episode of Stolen Voices, Buried Secrets for the ID Channel. The show that I narrated called THE PERFECT THREE starts Sat July 23rd at 4! The web series BIG COUNTRY BLUES, where I play a snarky casting director, continues to win awards in all the festivals. The latest - 4 Telly Awards, including top prizes for Drama and Music, a bronze for editing and a People's Telly. In addition, we've been officially selected to screen at the Hollyshorts Festival and also the ITV Festival in California this August. Cracked.com bought 7 of my videos and will also put them on their channel for all sprint phones.